About Molly Sims RE/MAX AT THE LAKE – Living it, Loving it, Selling Your Lakefront Home! The Chapin - Lake Murray Re/Max office first opened in 2005. Molly Sims joined the office as an agent in 2006, and in 2008, she purchased the franchise with the current Broker-in-Charge & another agent. Since then, the office has increased its sales force and gross commission income year after year. Our agents and owners care about each other and our clients. There are no part-timers and it shows! Molly has even gone as far as take potential buyers for s boat ride to view their lakefront home from one of the best places in South Carolina, Lake Murray! Molly provides residential real estate consulting, including foreclosures, short sales, purchases in the Columbia, Irmo, Chapin, Lake Murray, Lexington, SC areas. 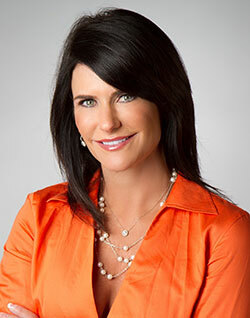 She has won numerous RE/MAX awards and is involved in her community. Let Molly help you find your dream lake home today! The Professional Associations held by the Molly Sims team are what makes her team such a success. Not only does her knowledge extend to waterfront properties for sale, but she also hold many other valuable certifications as a realtor.